Being a bit of a pen addict, my desk can get a little messy – by which I mean it gets absolutely chaotic. So I decided to finally tackle the problem and get my desk organized. The problem is that I didn’t really want to buy a bunch of new stuff. I don’t have a ton of money, so spending cash on new desk accessories just wasn’t an ideal option. Instead, I thought I’d try my hand at an upcycled DIY desk organizer! It was easy to make, cute, and practically free! Besides, I can’t say no to something that is environmentally friendly. So let me walk you through the steps I took to knock out this project and get my desk under control. Pen and pencil organizers are a must for planner addicts and bullet journal junkies like myself. It’s also great for artists and crafters who want a place to store paintbrushes, scissors, letter openers, rulers, or other craft supplies! Organization is especially important for people living in tight spaces. A little bit of clutter makes a small room feel so much smaller. 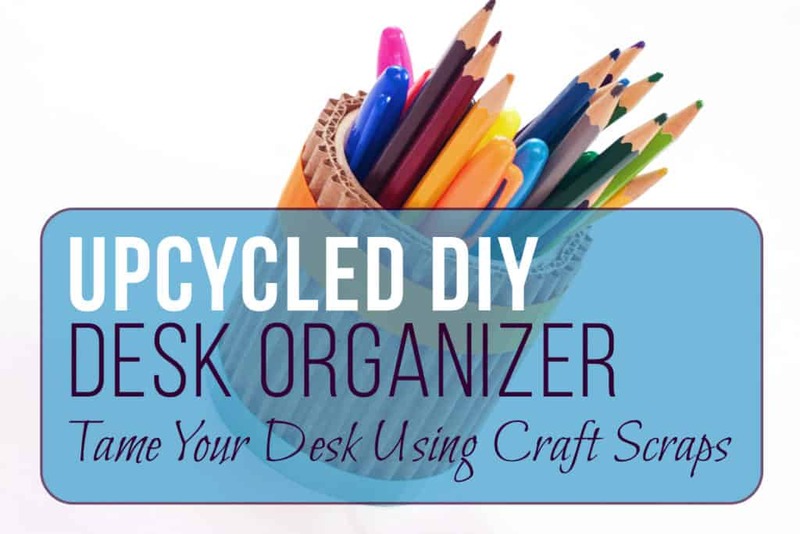 This tutorial will walk you through each step of turning your raw craft scraps into a cute and functional upcycled DIY desk organizer. It’s really quite simple, and it won’t break your piggy bank. And several of these items can be substituted for whatever scraps you have lying around. Just use your imagination! You can also use this tutorial to make fun gifts as we come up into the holiday season. Who doesn’t love a gift that’s pretty and functional? 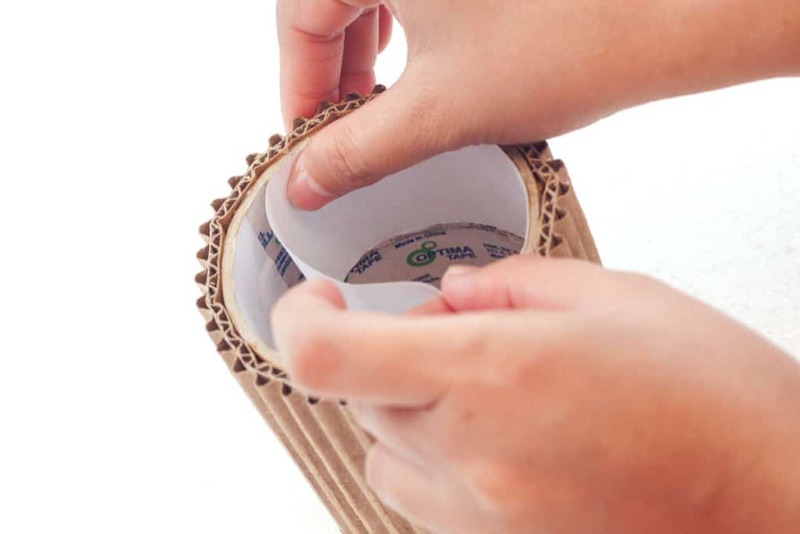 Trace the outer edge of the empty duct tape core on brown cardboard using a pencil. 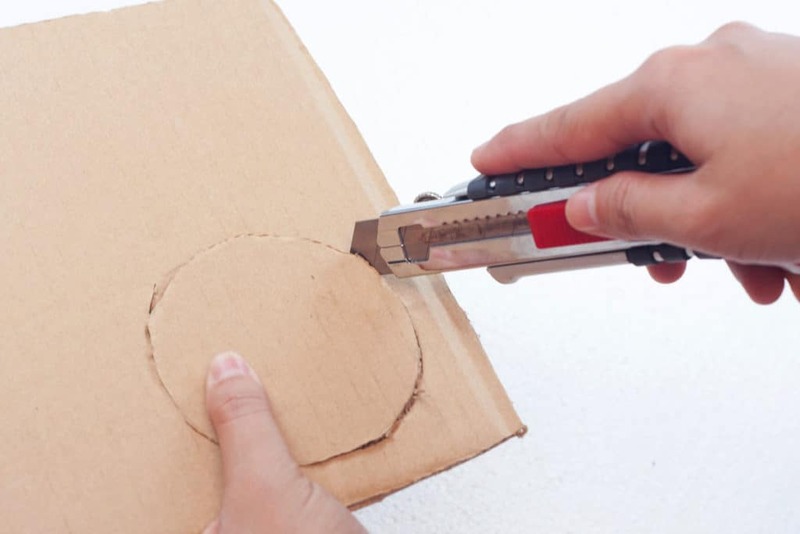 On a cutting mat, carefully cut the traced circle using the knife or box cutter. 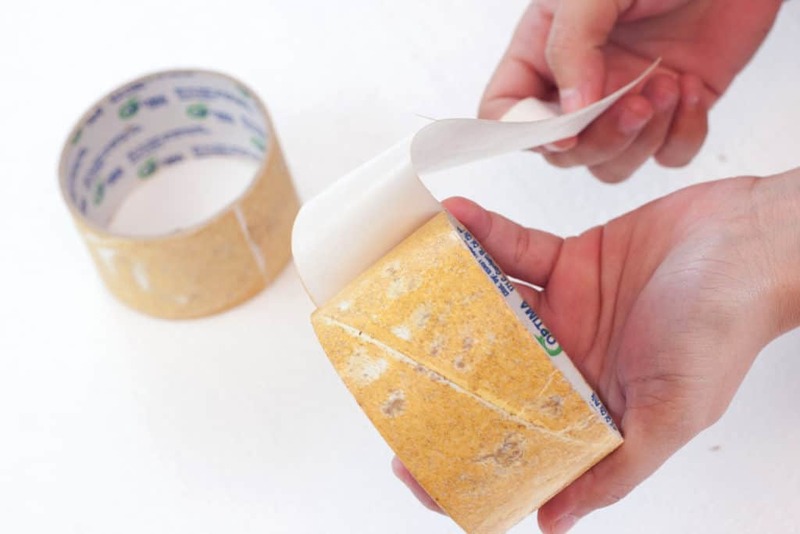 Clean the empty duct tape cores by removing all excess tape. 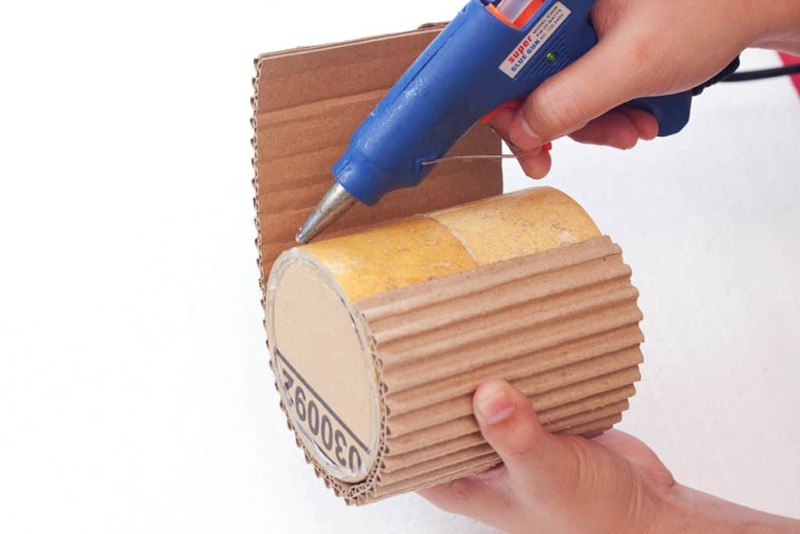 Peel everything away until you are left with the cardboard cores. Insert the cardboard circle from Step 2 into one of the cores. You may need to trim it down a little to make it a snug fit, but it’s better to start big and slowly cut it down. 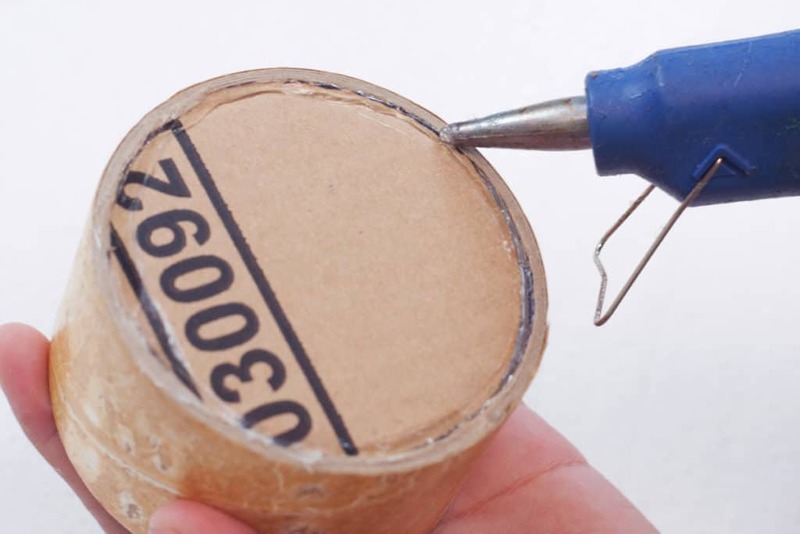 Using your glue gun, glue the edges of the cardboard to secure it inside the duct tape core. This will be the bottom of the pen holder. 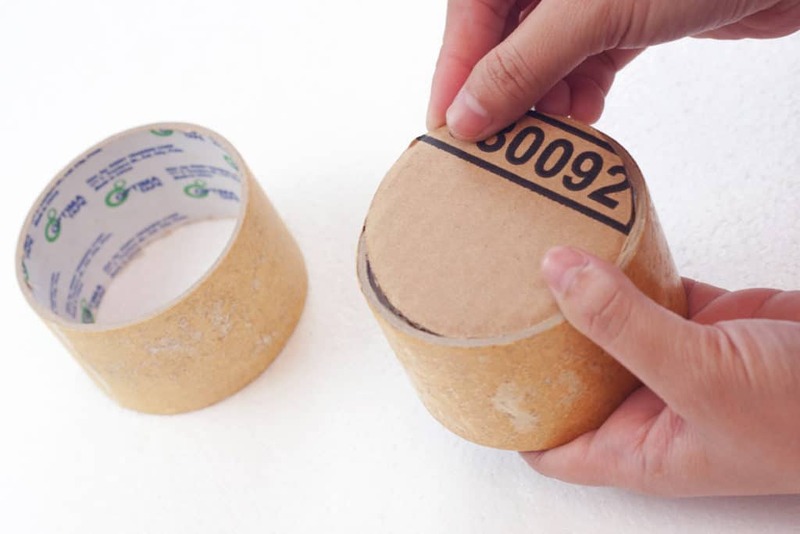 Glue the inside of the duct tape core along the edge of the cardboard. 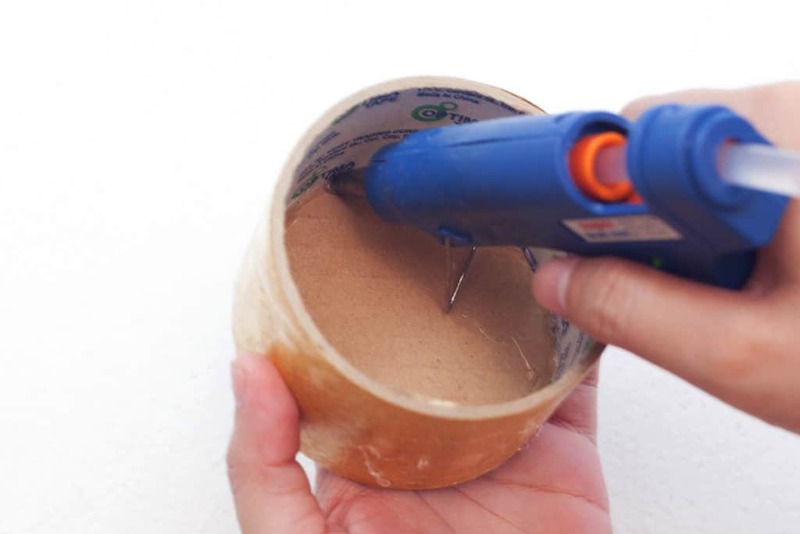 This extra layer of glue will ensure a stronger bottom that will last longer. 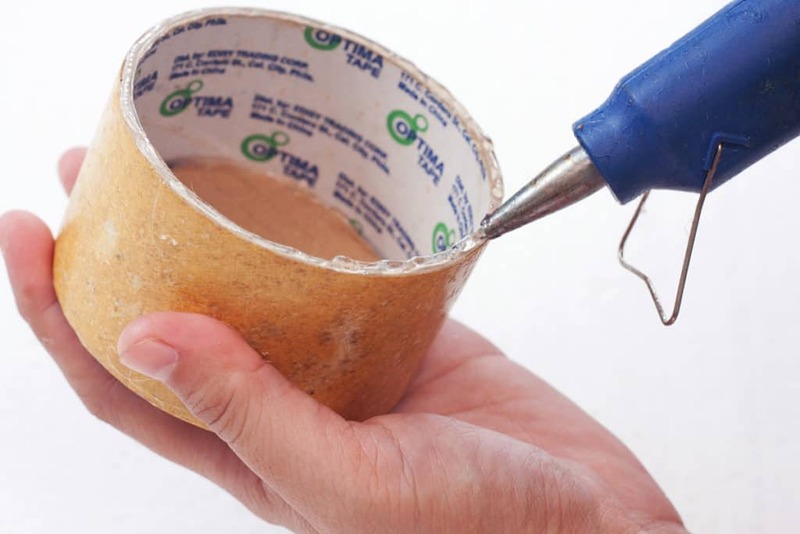 Lay down a generous layer of glue on the rim of the duct tape core. Then press the other core on top of the first to create a taller cylinder. Set aside to dry. 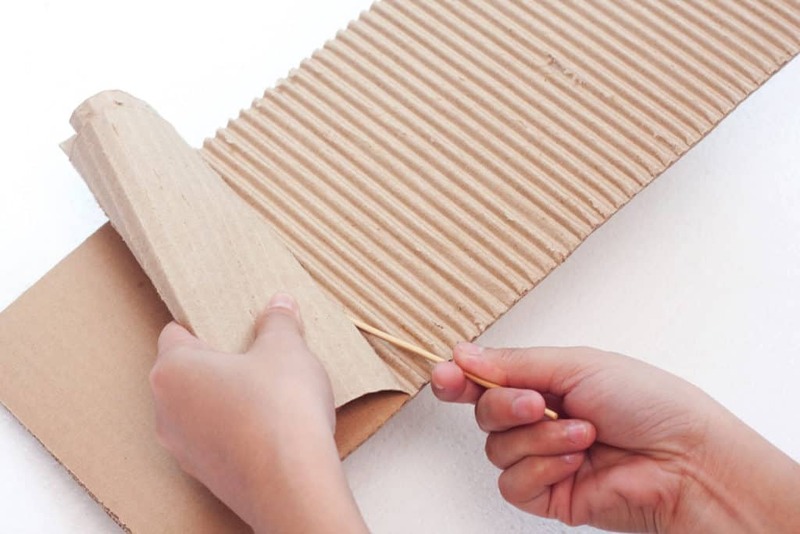 Expose the corrugated cardboard. 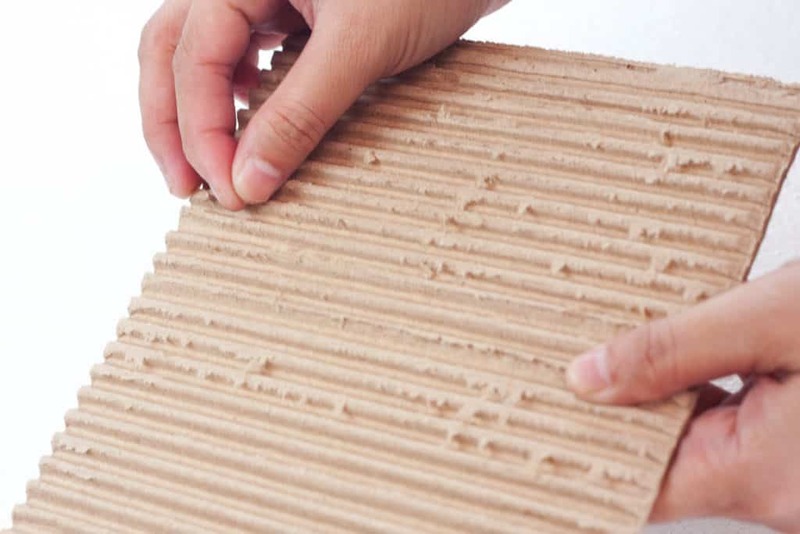 Do this by inserting a wooden skewer and carefully working the top layer off the wavy part. Clean the corrugated layer. 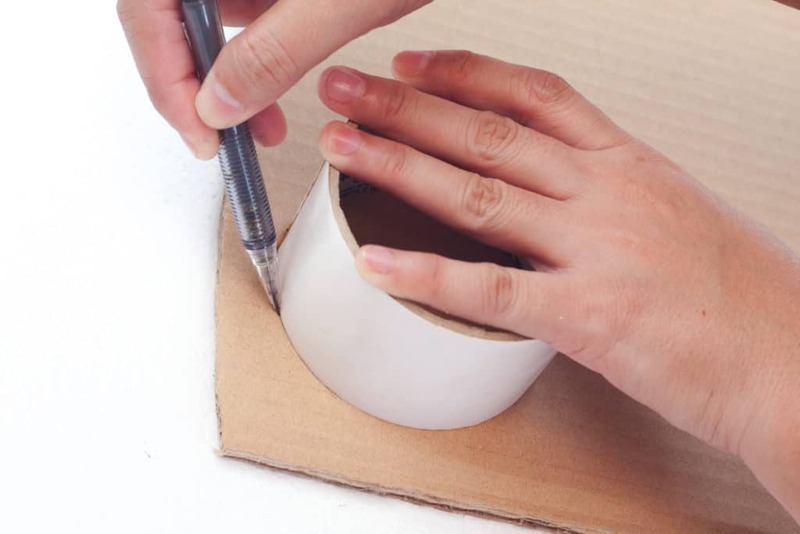 Remove the small paper pieces that are sticking to the cardboard until you are satisfied. 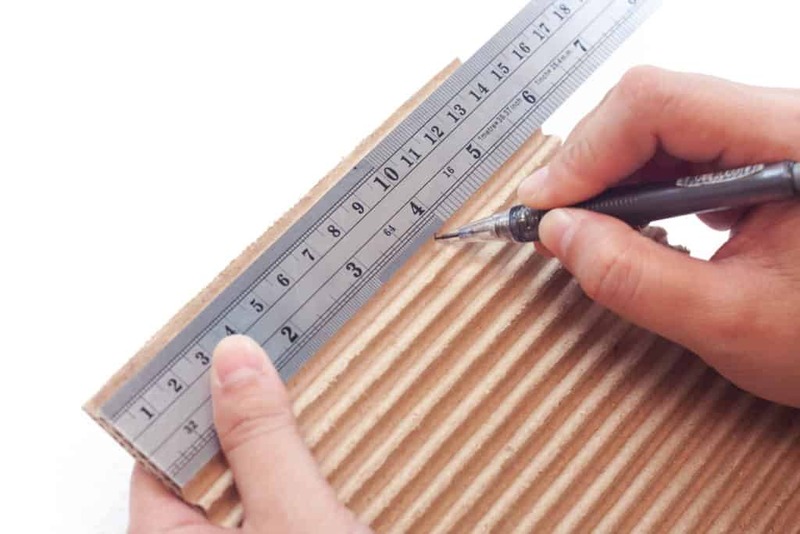 Using a ruler, measure the height of the pen holder. 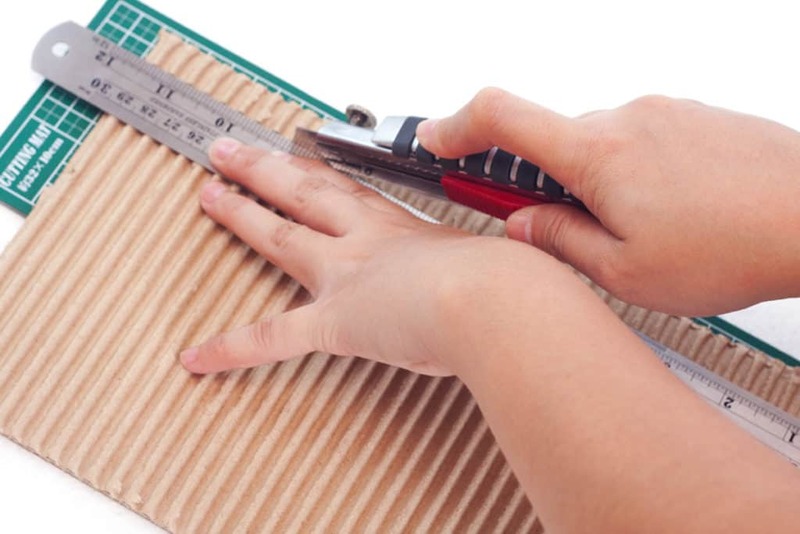 Cut the uneven sides of the corrugated board. 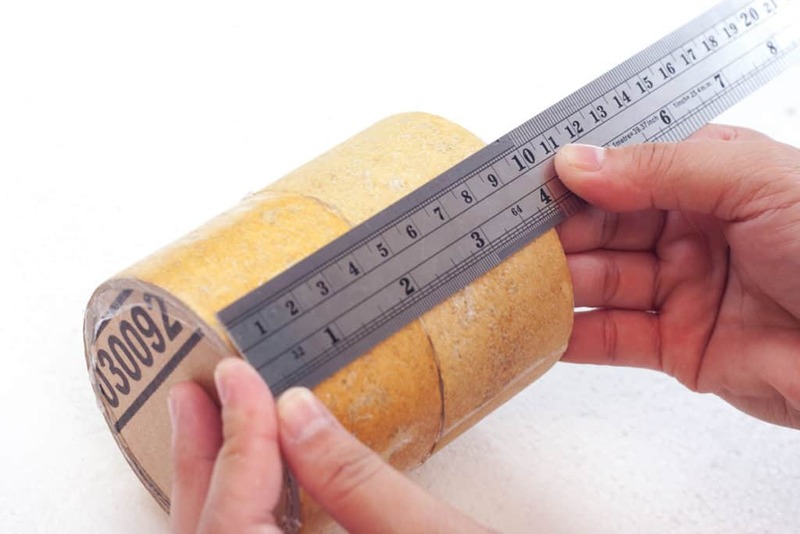 Measure and mark the height that is needed on the corrugated board. 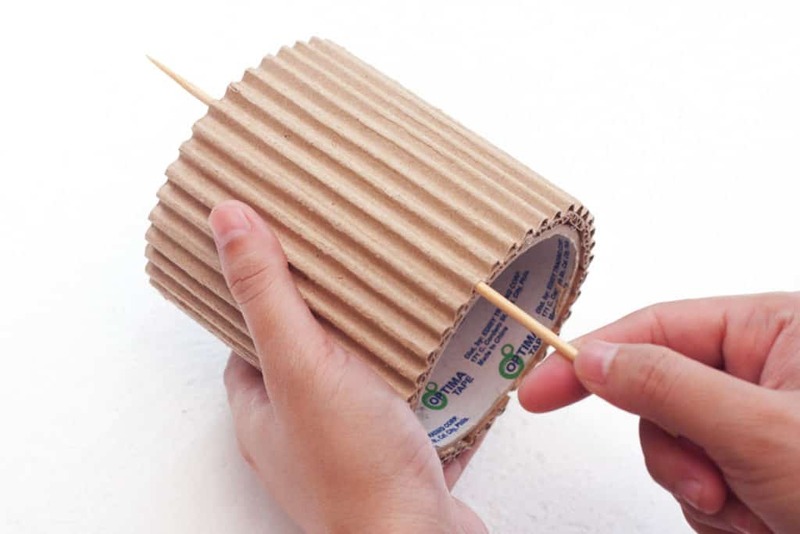 Carefully wrap the corrugated cardboard around the wall of the duct tape core. This will prime the cardboard and help it hold its shape in later steps. Glue the corrugated board on the outer wall of the empty tape core. Make sure to place a glue every 1 inch mark to secure it well. 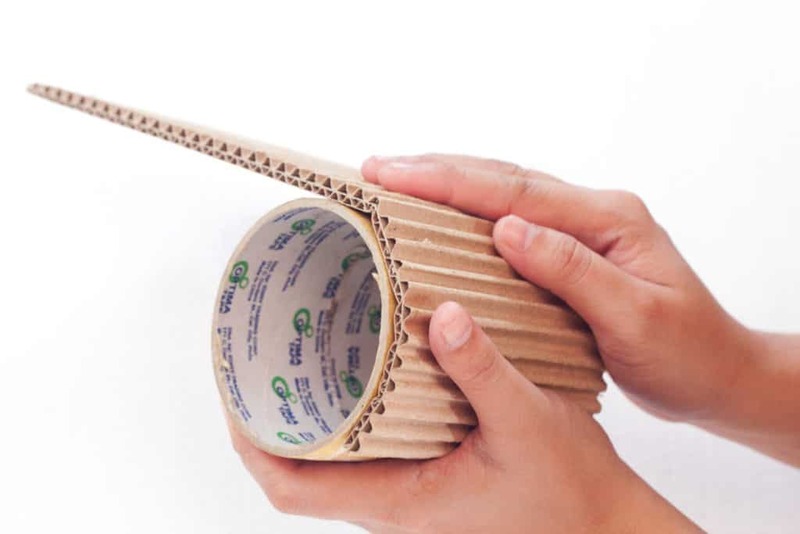 If any of the cardboard got flattened during the process of gluing it, insert the wooden skewer into the holes to fix it. 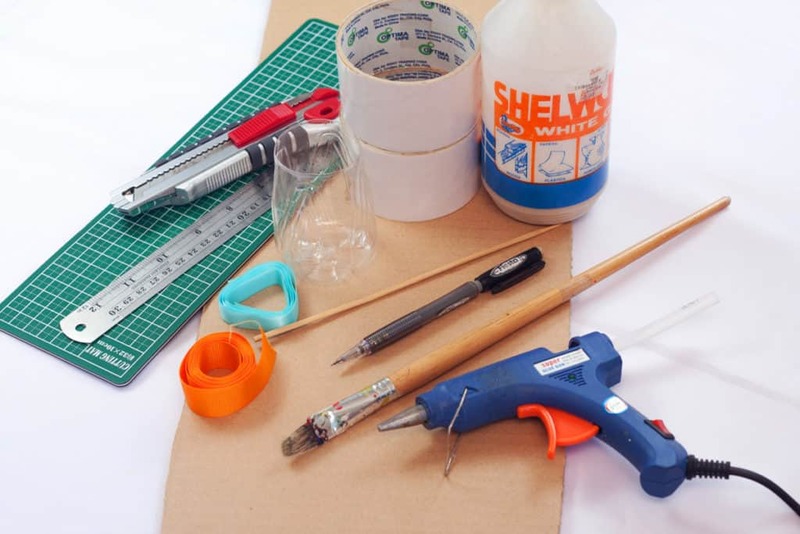 Create a white glue mixture. 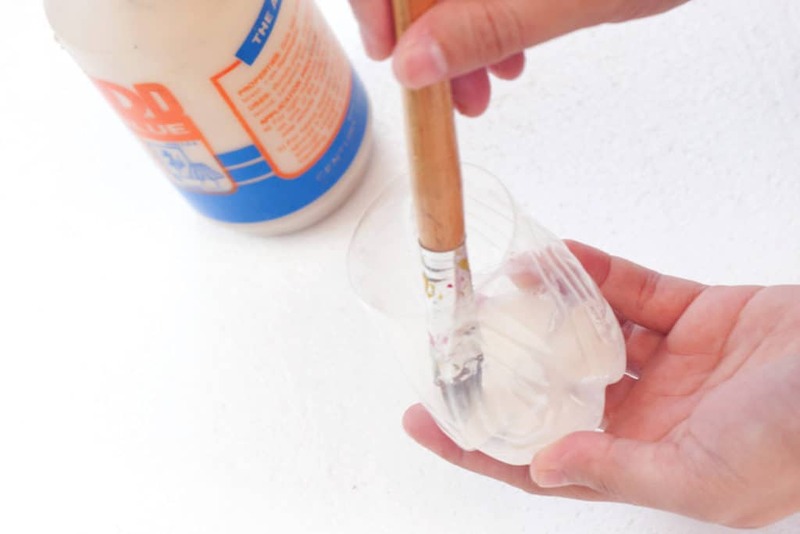 Do this using 2:1 mixture of glue to water. 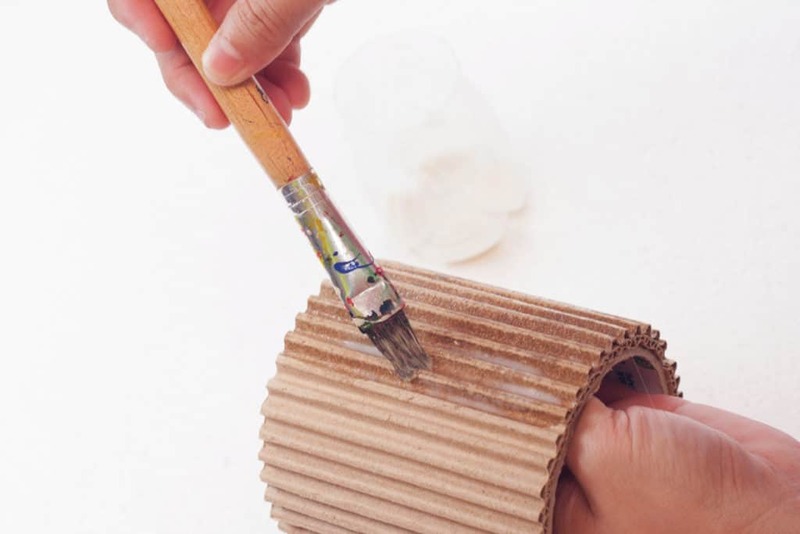 Brush the glue mixture onto the corrugated walls. This will serve as a varnish and will make the walls smooth. After it is coated, go paint your toenails or watch Youtube for an hour or two while it dries. 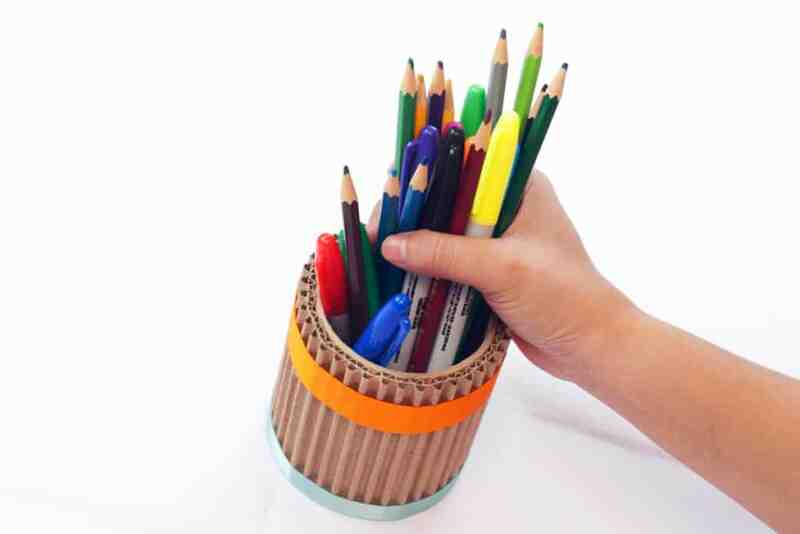 Cover the labels on the inner part of the upcycled DIY desk organizer. Cut out a piece of paper based on the height of the pen holder. It can be plain white paper, or you can spring for a fancier patterned paper instead. 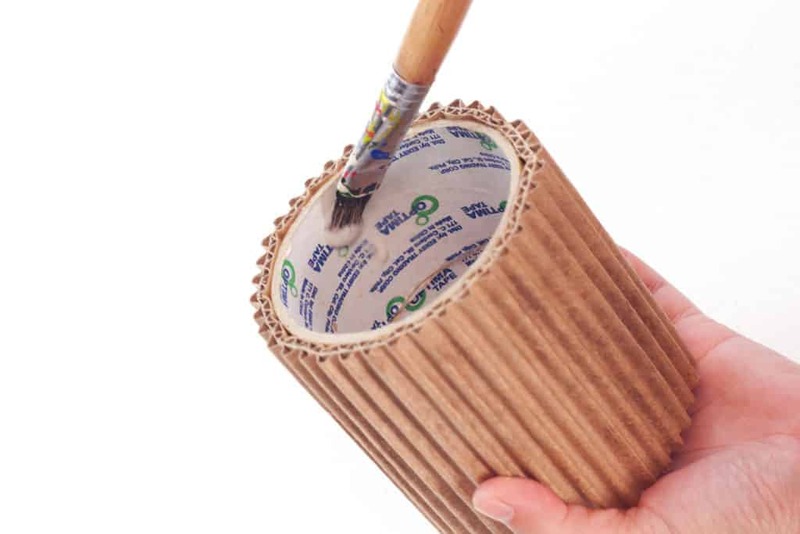 Then coat the inside of the pen holder with the glue mixture and carefully line the inside of the cylinder. Try using the wooden skewer to smooth out any bubbles. Then let it dry for another hour or so. *If you aren’t bothered by the labels and want to keep the inside bare, then by all means, skip this part! Wrap your choice of ribbon near the top, about 1/2″ or 3/4″ from the edge. 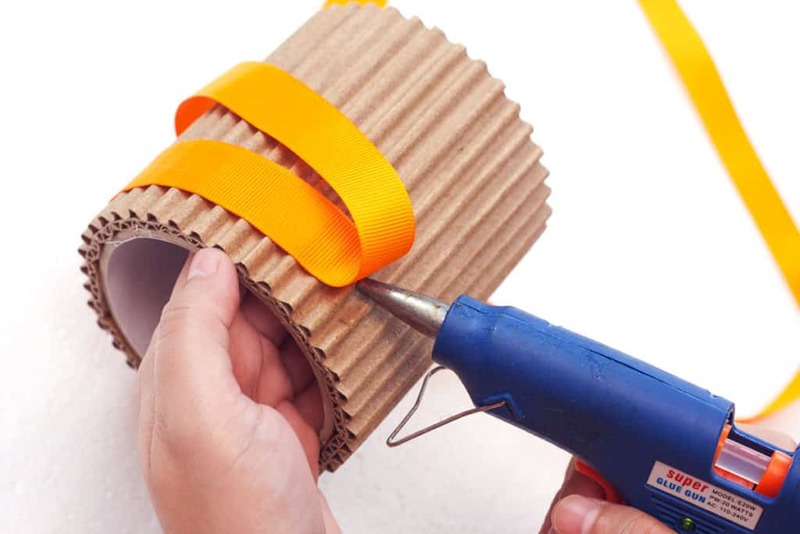 Use your glue gun to secure the ribbon every inch. 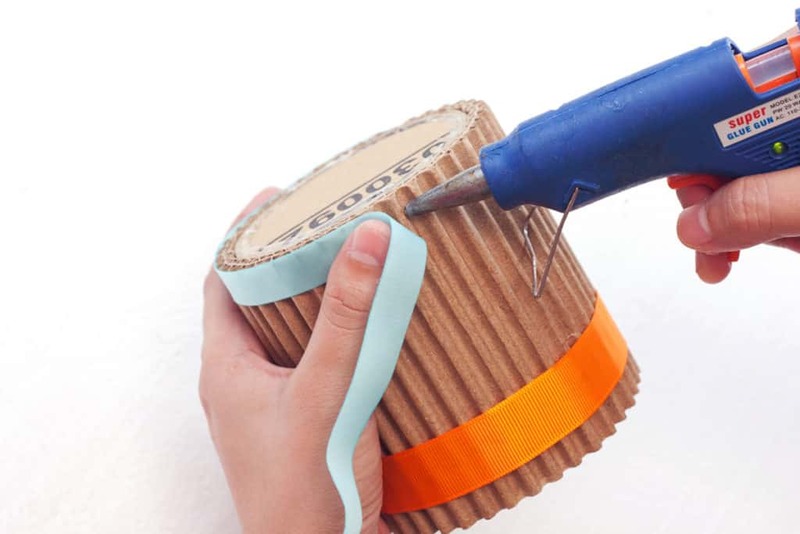 Wrap the second ribbon right along the bottom edge of the cylinder, gluing every inch just like before. And there you have it! An upcycled DIY desk organizer is really just that simple. If you wanted to take it a step further, you can use acrylic paints to make your pen holder whatever color you wanted. You can also add bows with the ribbon, use washi tape instead of ribbon, or any number of customizations! 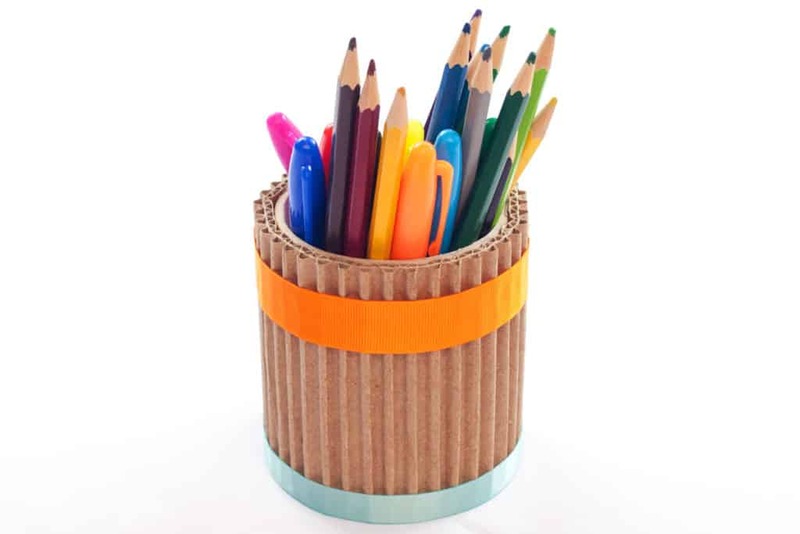 You could easily create several of these to really change the landscape of your desk. I’m so glad I created mine to help bring some order to my crazy desk, because Lord knows I need it if I want a productive workspace. And since I had most of these items just sitting around my apartment anyway, this little project only cost me a few bucks and my time. Give this upcycled DIY desk organizer a shot today and see how easy it is to add some organization to your workspace without breaking the bank!